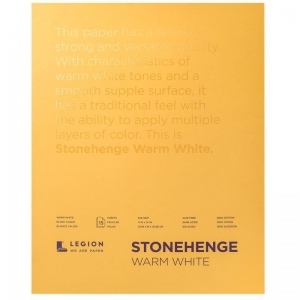 Stonehenge is an affordable paper that offers archival qualities at a machine-made price. 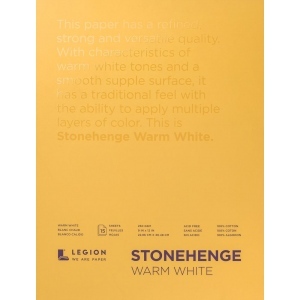 * Made in the USA from buffered acid-free 100% cotton this versatile paper has a smooth flawless vellum surface with a slight tooth and a fine even grain. 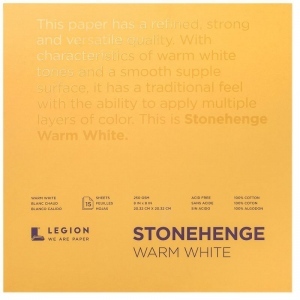 Available in convenient drawing pads Stonehenge paper is ideal for etching screen printing embossing drawing and painting with a variety of media including pastels pen-and-ink pencils charcoal acrylics and watercolors. 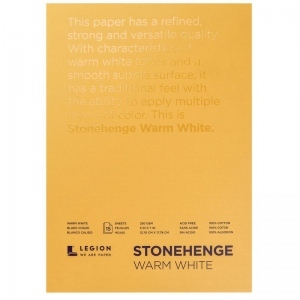 * Stonehenge Drawing Paper Pads are an ideal companion for travel and on-site drawing.